Minimal marked based unix terminal document viewer/pager with many features like markdown to terminal translation, file change watching and more. 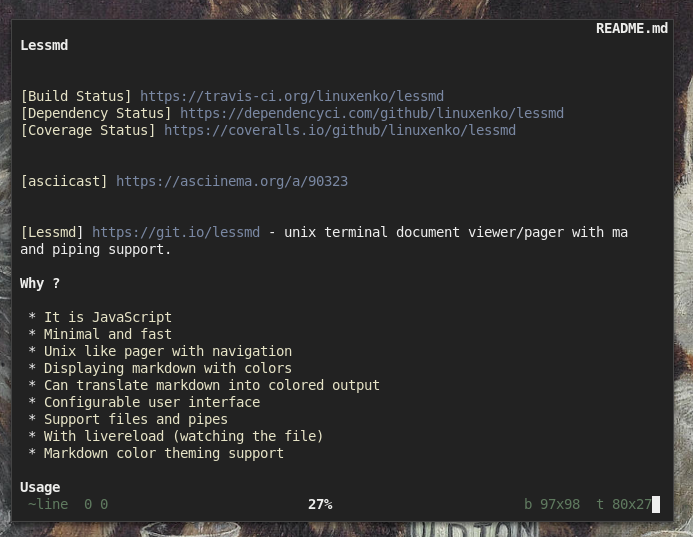 Lessmd - unix terminal document viewer/pager with markdown and piping support. Saving output into file for some prompt , motd, issue file. Lessmd looks for user settings inside of the home directory .lessmd.js.